Bright eyed and eccentric 14-year-old Daisy Moon is President and Founder of the Bateman’s Bay Little Monsters Fan Club. She holds her club meetings inside the dusty beachside bus stop on her front lawn. She’s the club’s only member. How does our framing of young people distort them and make us misconstrue their experience? Faster places young people as a spectacle to be witnessed. Devised with a collaborating ensemble of teenage performers, Faster is an explosive and raw theatrical experience. A group of teenagers go through the motions of a typical twenty-four hours. Like a fly on the wall, we watch them. They watch us watch them. Between their intimate encounters, explodes moments of of poetry and chaos that fight against an insistence to perform “normal” for an audience. 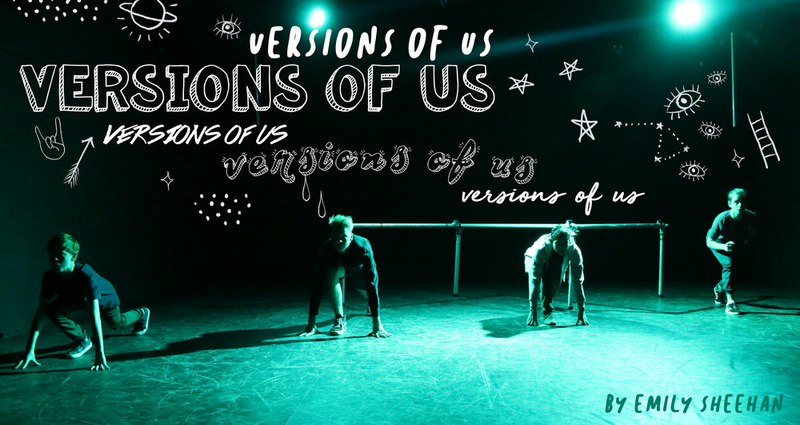 Co-created with a collaborating ensemble of young actors, versions of us is an intimate and patchworked theatre experience.